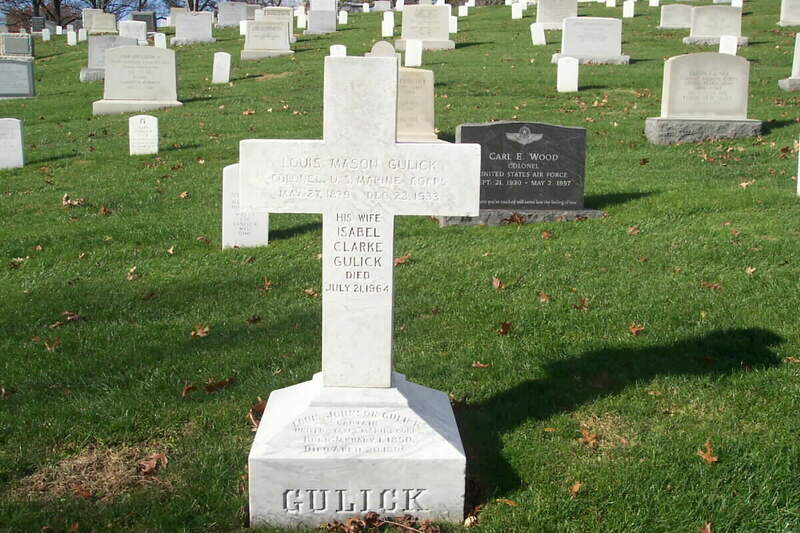 The Navy Cross is presented to Louis M. Gulick, Colonel, U.S. Marine Corps, for distinguished service to the Government in a duty of responsibility in command of the Fifth Regiment during difficult and important pacification operations in connection with an insurrection in Nicaragua in the Spring of 1927. Largely due to his zeal, loyalty and ability the successful outcome of these operations was assured. 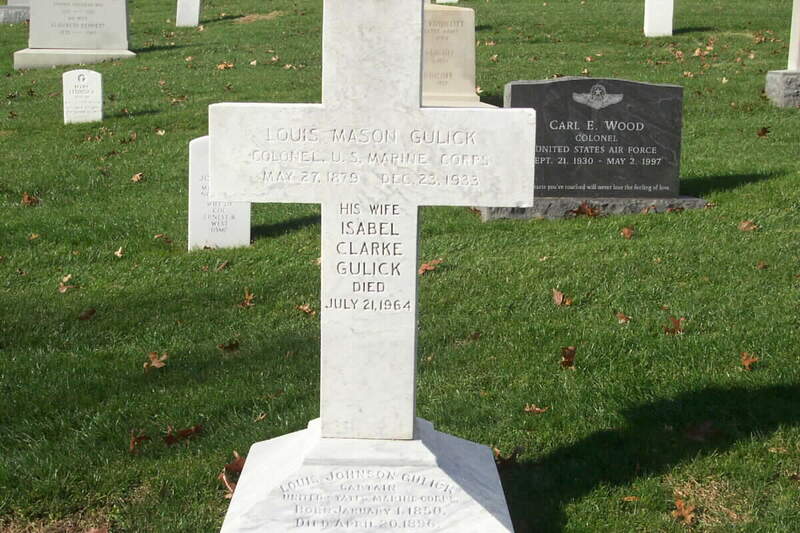 Born: at Italy Home Town: Washington, Washington, D.C. 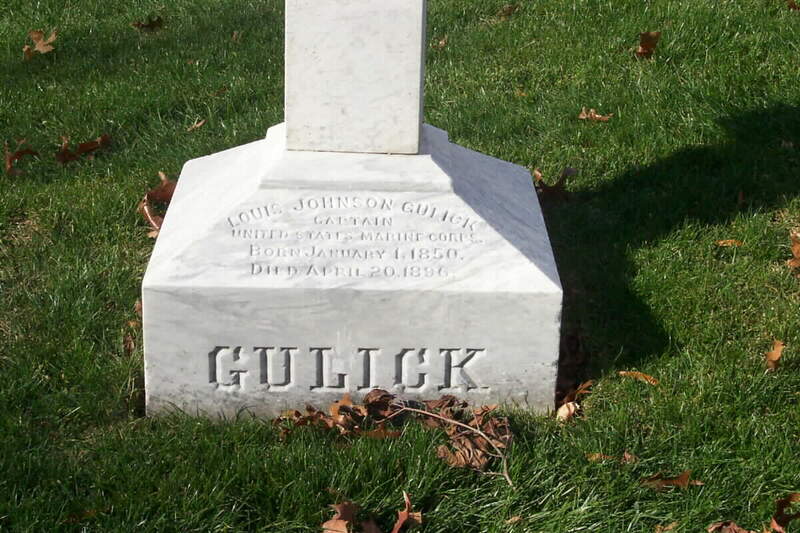 Note: The Colonel's father, Louis Johnson Gulick, Captain, United States Marine Corps, is also buried in this grave in Arlington National Cemetery.